More than just a cleansing soap, TIKI Tiare soap leaves an exotic fragrance of Tiare flowers while deeply nourishing the skin. Made with plant raw material and fully rich of Monoi, Tiki soap washes and leaves the skin moisturized. 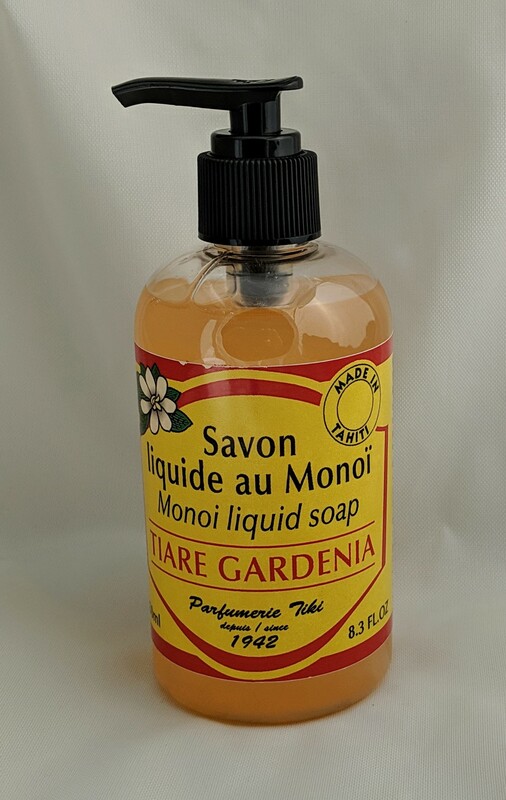 Tiki liquid soap is formulated in Tahiti with our Monoi Tiki. After use, hands are clean and perfumed with Tiare Monoi, skin is smooth. For all types of skin.